Before Mikkel Kessler battles Carl Froch in the 2nd round of Showtime’s “Super Six” Tournament, some important questions must be taken into consideration. Can Kessler recover psychologically following the beating he absorbed from Andre Ward in his last bout? Mikkel Kessler is a first-rate fighter, but after suffering losses to Joe Calzaghe and Andre Ward, we now know Kessler has plenty of trouble with boxers. However, there is good news for Kessler. Carl Froch does not possess the footwork of Calzaghe, Ward or even Kessler himself. Froch presents a different type of challenge; He’s undefeated, confident and mentally tough. Overcoming a close defeat is no easy task for a fighter. It is even a more daunting mission to rise above a one-sided beating or knockout loss. How much does Kessler have left? Kessler will be able to showcase his boxing ability more against Froch than he displayed against Ward and Calzaghe. In both of his defeats, Kessler was the aggressor. Ward possessed too much overall speed for him. Against Calzaghe, he had to deal with the slickness and feints of a great southpaw. Styles make fights. The match-up against Froch may best suit Kessler’s style to surmount his recent shortcomings. Kessler must establish his jab early in the fight. Froch is slower than him, and Kessler could dictate the pace of the bout by using his edge in hand speed by firing combinations off the jab. At times, Froch can be flat footed. If Kessler is moving around the ring, Froch will have an extremely difficult time landing successfully. In his last bout, Froch had an abundance of trouble getting his punches off because of Andre Dirrell’s adept hand speed and proficient movement. Kessler does not have the hand speed of Dirrell, but his hand speed is vastly underrated. Kessler’s hand speed was not a factor in his fights with Ward or Calzaghe, because they never let him get set to punch. Froch will not use the ring to his advantage like Ward or Calzaghe. Froch owns a concrete right hand and can take a pretty solid punch. 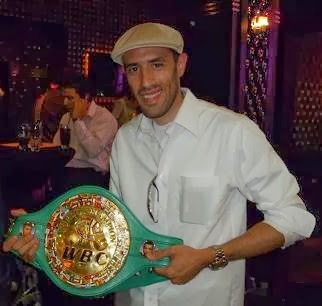 Since Kessler lost badly to Ward, Froch may want to attack him swiftly at the very beginning of the fight. Then, Froch might gain a competitive edge if Kessler starts to doubt his overall abilities. Froch owns a decent left jab and might use it to set up his body attack. Against Dirrell, Froch got beat to the punch repeatedly, and may have gotten hit even more had Dirrell taken more of an initiative. Unlike Dirrell, Kessler will stand in front of Froch at certain moments in the fight, which could give Froch a significant advantage. Froch does not unleash lots of punches, but he does land a high percentage of his punch output. Prediction: If Kessler is emotionally recharged after suffering the devastating loss to Ward, I believe Kessler can win a convincing 12 round unanimous decision. I think Kessler occupies and exhibits the superior overall skills, however, I expect Froch to land some crisp and powerful punches in the fight. On the other hand, Kessler should be able to effectively control the pace with an accurate left jab, superior hand speed and quick lateral movement. I do not think it will turn into a slugfest because I see Kessler fighting an intelligent fight.